The project, designed by the renowned architecture and urban planning firm Robert A.M. Stern Architects (RAMSA), knits together the surrounding neighborhoods with appropriately-scaled buildings executed in a variety of traditional architectural styles. 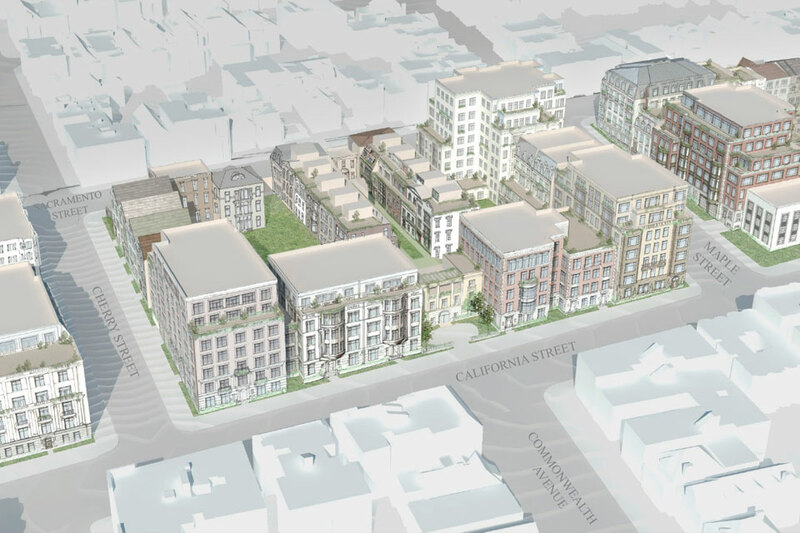 The proposal is one of the few new projects in San Francisco to be oriented towards family housing, with 70% of units having two or more bedrooms. The plans feature 33 individual townhouses and apartment buildings, ranging from 35 to 80 feet in height, consistent with site zoning and the scale of the surrounding neighborhoods. Building heights, setbacks, rooflines, and architecture were carefully tailored based on discussions between the project team and neighbors. Adequate parking has been provided below ground to keep cars off city streets.